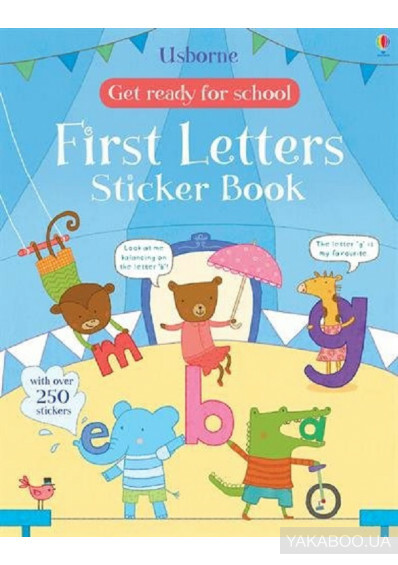 Parents can give their children a head-start at school with this easy-to-use sticker book that helps children to read and write their first letters. This book provides plenty of opportunity to practise writing first letters; children can trace over dotted lines, copy letters independently and sticker letters onto the correct word. With over 250 stickers, this is a great way to have fun while learning.With a full alphabet at the back of the book, this book is ideal to help children develop letter recognition skills before even entering the classroom.§Friendly animal characters guide children through this brilliant sticker book, introducing them to letters of the alphabet as they prepare to start school.